New Oil Pressure Sensor Adapter! The oil pressure sensor adapter is must have when adding additional oil sensors or wanting to easily add a feed line. 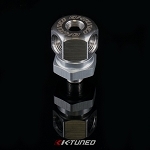 Designed with 1/8BSPT male thread to match Honda Block. 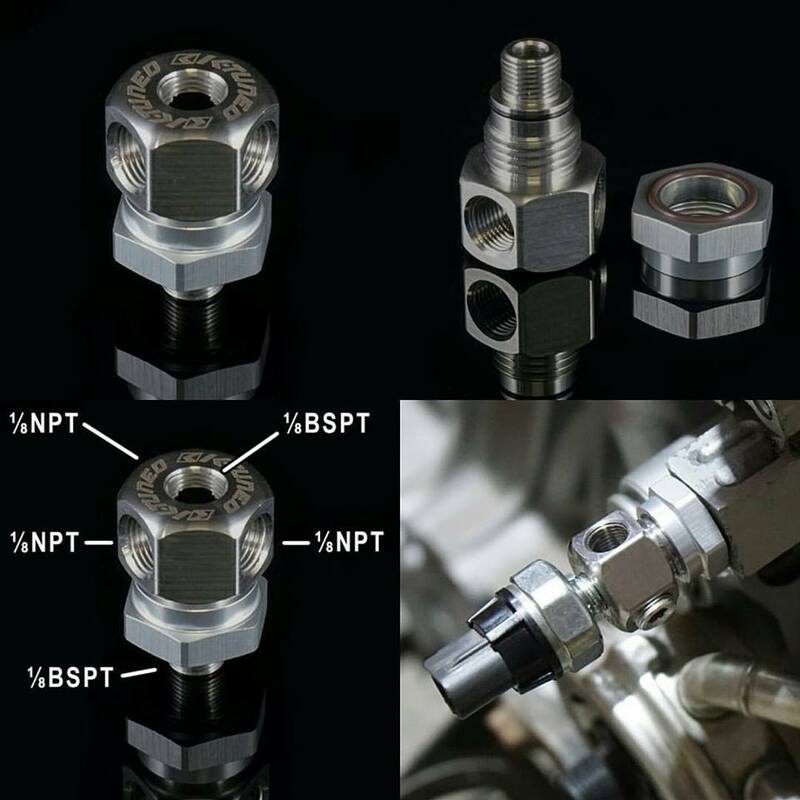 The adapter offers a couple nice features to help installation and prevent problems.There is three 1/8NPT threads ports around the body which allows you to select the direction of your fitting or sensor. We have retained the stock 1/8BSPT thread to match stock sensor. The two piece design uses double o-ring seal to prevent any chance of leaks. The jam nut will provide additional support which is necessary when moving the sensor or adding additional sensors further from the block. The kit includes extra o-rings, teflon tape, and two 1/8NPT plugs.